FX Chains 2.0 now allows you to customize your FX Chains’ appearance by changing the colors and graphics that are displayed in each FX Chain. To begin, right-click the FX Chain property page and click Customize UI. 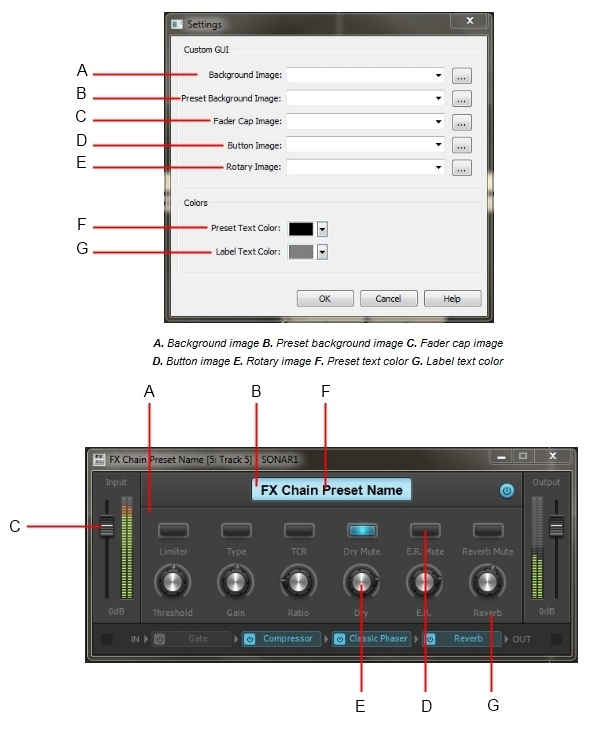 The Settings dialog box lets you change the colors and graphics that are displayed in each FX Chain. When replacing the images in the Custom GUI section, you will want to make sure your images are in the proper format, dimensions, and orientation. FX Chains 2.0 will accept the following file types: *.bmp, *.png, *.jpg, *.gif, and *.tif. Since some of the graphics have several stages (such as knobs having various images depending on their position when turned), you will want to make sure your custom graphic has the right orientation. 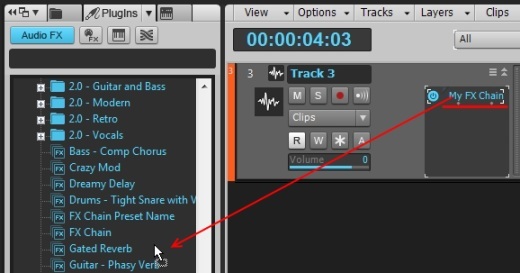 Alternately, this can be done simply by clicking and dragging your FX Chain from your track's FX Bin directly into the Audio FX section of the Browser. Saving an FX Chain Preset (*.fxc) not only stores your FX settings, but it also saves your UI customizations and embeds your images. This is perfect for moving your custom FX Chains from one computer to another without having to worry about referencing the original images used to create your new UI.